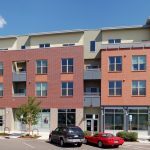 This public/private partnership involved the development of a key site near the heart of downtown Fort Collins. Incorporating a mix of residential and commercial uses and arranged around a pedestrian spine, this project built upon the historic heritage of the old city center. 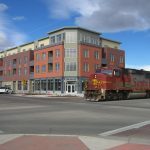 By balancing the interests of the residents with those of the general public, the project has stimulated and revitalized the downtown area. 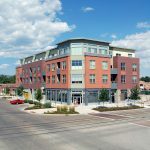 Penny Flats incorporates extensive sustainability measures, which allowed the project to emphasize environmental responsibility while providing a sensitive, human-scaled streetscape.